"We came here to help people"
Synod’s Brazilian pastor is planting new worshiping communities to aid new immigrants and provide a place to call home. Earlier this year, an undocumented couple, who had immigrated to the United States from Brazil, sat in a courtroom in Lowell, Massachusetts, preparing to be deported. Their pastor, Paulo Lima, sat next to them, trying to keep his eyes off the hefty GPS devices that the Immigration and Customs Enforcement (ICE) had attached to their legs. Lima looked up when the judge made an unusual offer. To avoid deportation at this time, the judge said, the couple could be remanded into the pastor’s custody. The judge explained that if Lima were to accept the arrangement, he’d be responsible for anything they do from here on. It was an intimidating responsibility to assume, Lima says. This couple had gotten into some trouble before joining the Portuguese-speaking church Lima founded in 2009 for Brazilian immigrants. But their lives changed dramatically, he says, after they got involved with the church. While the boldness of Lima’s actions that day may have been unusual, the spirit in which they were taken was not. “If they need something, we help,” Lima says, describing the six new worshiping communities he’s founded since coming to the United States from Brazil in 2006. 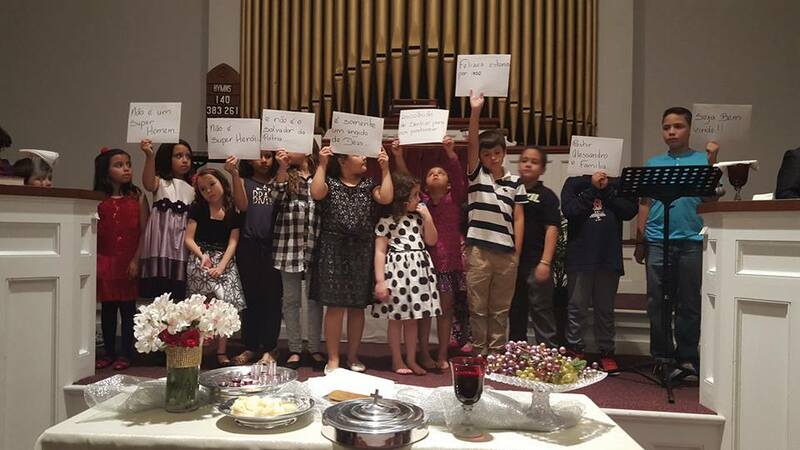 “A lot of our people don’t have documentation, so, in our congregations, social services are ministries.” Lima’s churches help new immigrants find solutions to their problems, whether it’s legal assistance, education, transportation, or food. Lima first came to the United States to assist another pastor in his ministry. He quickly discovered, however, that in many communities in Massachusetts and New Hampshire, Brazilian immigrants lacked a church home. They had worshiped as Presbyterians in Brazil, but now they weren’t able to find a Presbyterian, Portuguese-speaking congregation that understood the unique challenges and opportunities they were facing. Their only option was to go to a church of another tradition, but they weren’t comfortable, Lima says, with the theology or worship. 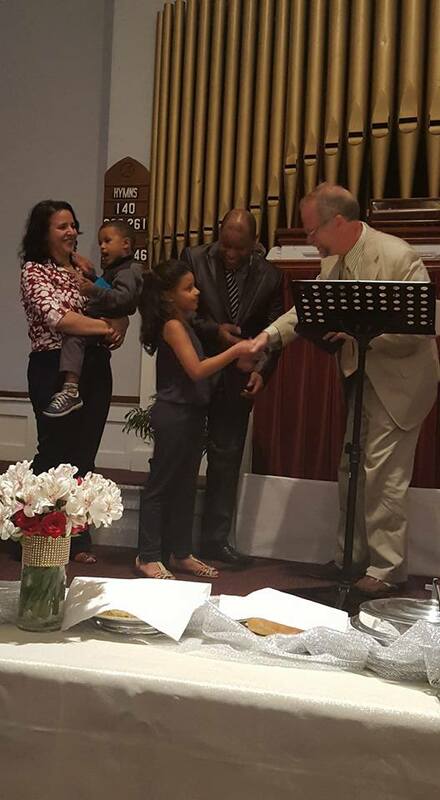 Lima soon felt called by God to form 15 new worshiping communities that serve Portuguese and Spanish-speaking immigrants in the Presbytery of Northern New England. (You can read more about his call and the beginnings of his ministry in this Presbyterian News Service article published in 2012.) Today, he divides his time between four fairly well established new worshiping communities and two smaller groups that are just beginning to take shape. His hope is to continue pastoring his original congregation in Lowell, while developing the others till they can call their own pastor or rely primarily on leadership within the congregation. 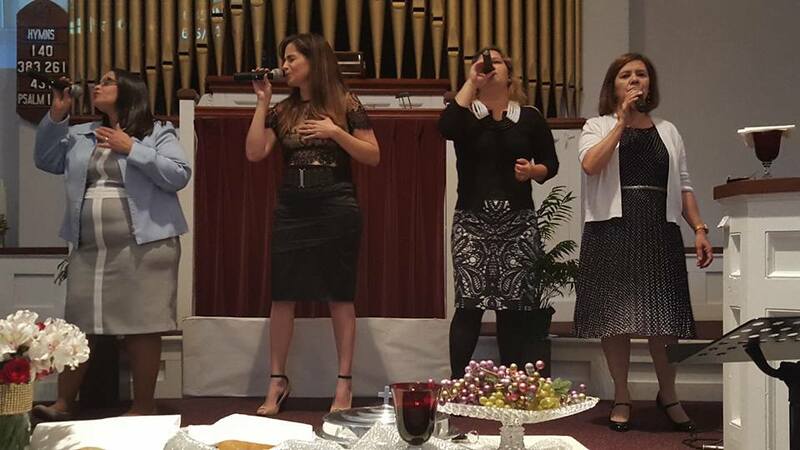 The church in Brocton, Massachusetts is already in the process of calling a pastor and has opened a music school to develop the leadership it’s currently lacking. Lima’s also running a Bible school to train future leaders within the other congregations. Still, it’s not an easy calling. On any given Sunday, he may lead worship in three different congregations spread across two states. Worship typically lasts two hours, offering 15 minutes of prayer, a 45-minute sermon, projected music, and a praise band. Church life extends far beyond Sunday worship. “As Presbyterians, we don’t just go to church and listen to a sermon; we care for people’s lives every day of the week,” Lima says. “We know each other. We are friends.” Weekly activities include Bible study, prayer, community events, immigration discussions, and mission. Though mostly on his own in this endeavor, Lima did receive help from two financial grants from the Presbyterian Mission Agency’s 1001 New Worshiping Communities initiative and they have received an Innovation Grant from the Synod of the Northeast. He’s looking forward to future collaboration both with his presbytery and the Synod. He admits that, at first, this ministry was pretty tough… and pretty lonely. “Sometimes, in the beginning, I felt like God had called me to this place but then people didn’t want us here. It was hard to find acceptance,” Lima says, referencing the process of getting recognized by the presbytery and the challenges facing new worshiping communities that focus on new immigrants. But nothing was going to stop Lima. There was a need, and he was determined to answer it.